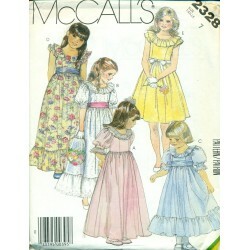 From McCall's and the 1950's! 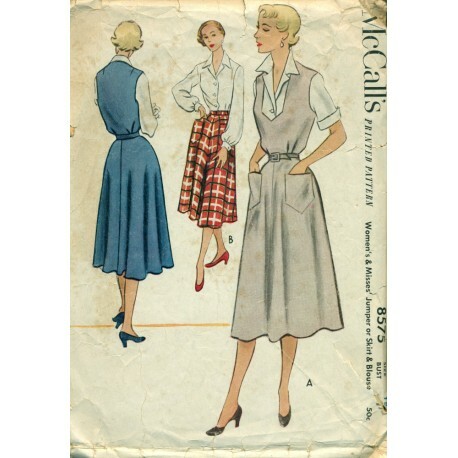 You can make this full circle style skirt pattern as a jumper or as a skirt - with or without the patch, front pockets. Very nice and open neckline on the bodice of the jumper. Sewing pattern also includes a blouse pattern with long or short sleeves and open, notched collar. Condition : Used and complete. Sewing instructions are delicate and disintegrating with small sections missing from where it has been folded. The envelope also has quite a bit of wear.